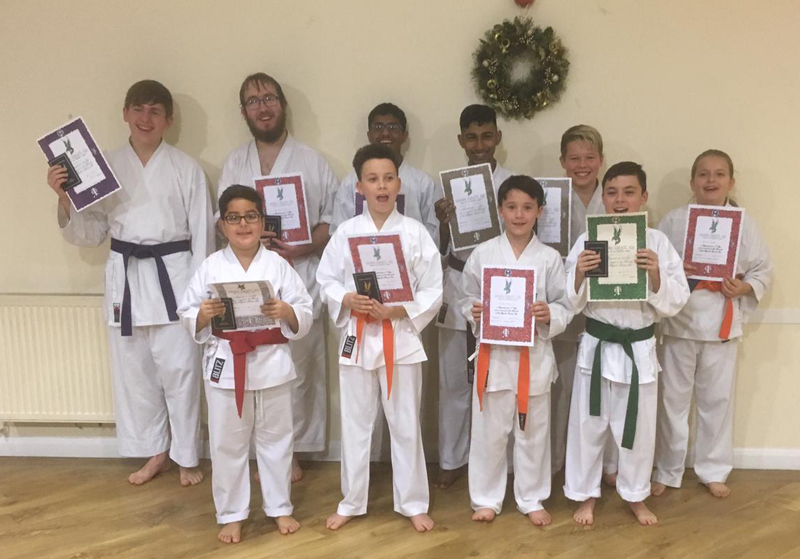 Our last grading of the year was pretty large with 10 hopefuls ranging from students taking their first belt all the way up to brown belt. Georgi’s form was excellent and his focus and determination were out of this world. Nothing was going to get in the way of this green belt, and a first class pass green belt at that! 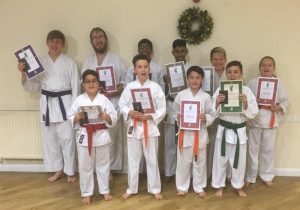 Stefan and Edvin hardly put a foot wrong in their gradings. Their karate was fantastic and they showed no sign of slowing down for the whole two-hour grading. For their efforts they were awarded first class purple belts. We have two new brown belts as well. Bhesmendiran and Ethan put in great performances and were duly awarded their hard-earned belts.